Online payment giant PayPal has won the blessing of regulators in Russia to operate as a non-credit banking institution, paving the way for the firm to open a domestic payments business in the fast-growing market. PayPal parent eBay described a more than two-year process to obtain the license to operate from the Central Bank of Russia, a "journey" that entailed numerous meetings between company officials and the bank "and educating and training CBR officials on how PayPal and electronic payments systems operate successfully around the world." In a post on eBay's Main Street blog, the company said that it is "happy to open up yet another domestic market, making it easier for all of our customers to buy and sell across borders." The licensing requirement was included as a provision of Russia's 2011 National Payments Law. In a recent interview with EcommerceBytes, Steve Milton, director of global communications for eBay International, touted the opportunities in Russia, where he said that eBay accounts for just 3 percent to 4 percent of ecommerce activity, yet still stands as the leading player in a highly fragmented marketplace. "Why we are investing so rapidly in Russia and China, is a lot of eBay future growth ... is going to come from markets like Russia and China," Milton said. "That's why you'll hopefully see eBay getting pretty serious about Russia and China" in 2013, he added. In October 2012, Reuters reported that the number of Russian customers shopping on eBay had increased 82 percent so far that year. 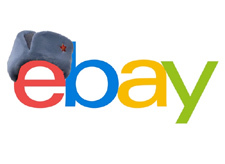 Russia and China are eBay's top two priorities as it looks to expand its international presence, according to Milton. But in Russia, the company's operations are not nearly as well established as they are in its neighbor to the east. eBay opened up shop in Russia in 2010, and has been operating there without a major ecommerce partner, such as it enjoys in China with Xiu.com. As a result, eBay's business in Russia has been import-only, with no sellers in that country exporting goods to foreign buyers. Russia's ecommerce segment generally has also been impeded by an often erratic and unreliable postal service. State authorities are considering a nearly $21 billion plan to overhaul Russian Post that would partially privatize the service, the newspaper Kommersant reported in February. Reached by email on Monday, Milton confirmed that eBay in Russia remains an import-only operation, and that will not change with the PayPal announcement. At the same time, he hinted that new developments in Russia could be coming in short order, telling EcommerceBytes to "stay tuned" for announcements about eBay's activities in that country. "Russia is a fast-growing ecommerce market, and we are actively exploring ways to make it easier for Russian buyers to purchase on eBay and to open the market up for international sellers to sell to Russian customers," Milton said. "We hope to be able to discuss specific actions in the coming weeks and months."